What happens when your world is shattered from within? When you can’t run nor hide from yourself? 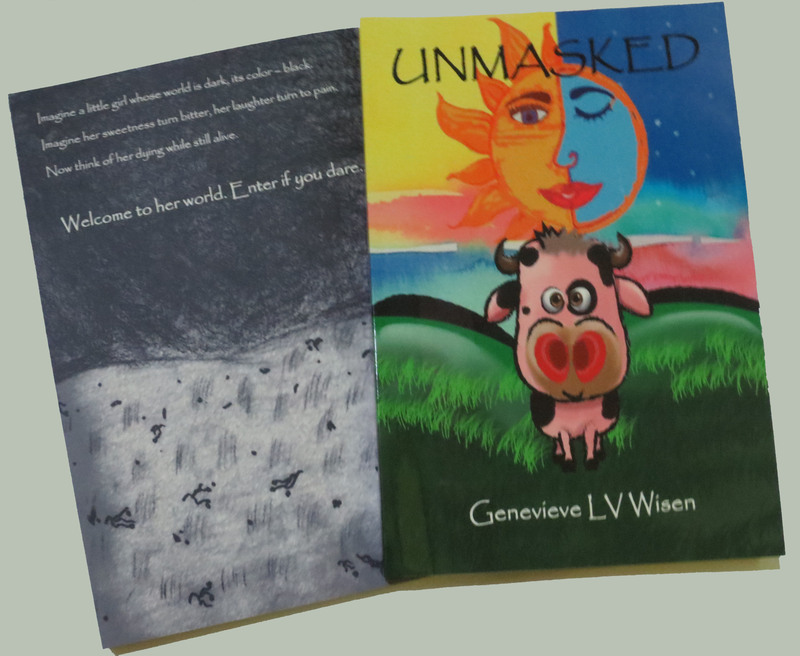 UNMASKED is not just about someone dealing with Bipolar Disorder, it’s also a story of hope. Of how a person can spiral so low but still manage to fight against the turmoil and find one’s self. It is everyone’s story of trial and tribulation, how going through the hottest of fire can make us stronger and wiser if we hold on long enough and refuse to give up. You can also order through https://www.facebook.com/genevievewisen/ by sending me a Private Message (PM) and stating how many books you want to order and your method of payment (Cash on Delivery/COD, Eastwest Bank, LBC, or Paypal) along with your name, address, and contact number. Hello! Here are the steps if you are interested in purchasing UNMASKED directly from me. b. Your nearest LBC branch. Payable to Genevieve Wisen of Rodriguez Rizal. Send me a message that you already paid and the control number. For international orders, please send me a private message letting me know of your interest in purchasing my book. Thanks. I let all buyers know when I’m going to ship the book and give you the tracking number. I usually ship with DHL or LBC. UNMASKED is not just about someone dealing with Bipolar Disorder, it’s also a story of hope. Of how a person can spiral so low but still manage to fight against the turmoil and find one’s self. It is everyone’s story of trial and tribulation, how going through the hottest of fire can make us stronger and wiser if we hold on long enough and refuse to give up. A big, fat THANK YOU!!! You have no idea how much it means to me that you like my posts, and my whole blog. When I started this blog, all I wanted was to finally break out of my shell and be comfortable with getting my writings out there. The reason was I wanted to pursue an M.A. in Creative Writing but I kept backing out due to the fact that I had to read my work out loud for my classmates and professors. I can’t do it, I’m too shy. Hence, the blog. I never expected anyone to actually like my poems or anything else I’d post so this is a bit overwhelming. In lieu of this, I’d like you all to be the first to know that some of the poems I posted is part of a book of poems I’m completing. I hope you’ll like the poetry book as much as you liked reading the individual poems.